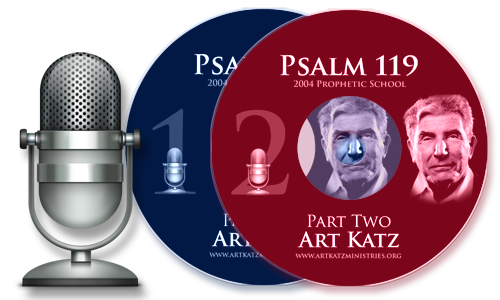 Recorded at the 2004 Prophetic School in Ben Israel, these two messages on Psalm 119 are also interspersed with comments from the students, Reggie Kelly and other Ben Israel residents. 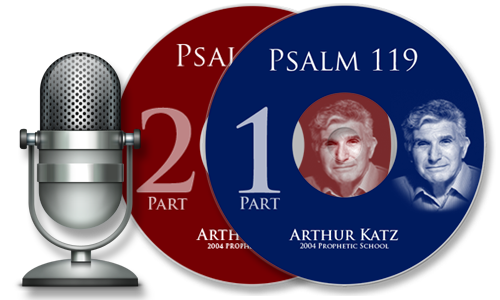 I listened to them shortly after the school and forgot about them until after I had written music to Psalm 119 in 2007 & 2008. These could well have been the formative words that inspired that music several years later. When I first read the transcript of this Ben Israel gathering, I was deeply gripped in the inner man. I was in the process of writing the music to Psalm 119 and reading and hearing it helped me stay focused on Jesus, the Word made flesh, the embodiment of the Law.